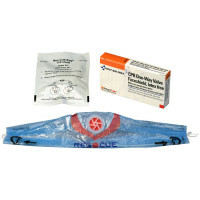 Find the American Red Cross Deluxe Personal Emergency First Aid Kit at First Aid Store™ Bigger with more content than the regular personal first aid kit! * (3) Patch plastic bandage, 1-1/2" x 1-1/2"
* (10) Adhesive plastic bandage, 1" x 3"
* (20) Adhesive plastic bandage, 3/4" x 3"
* (5) Junior plastic bandages, 3/8" x 1/2"
* (2) Elbow and knee plastic bandage, 2" x 4"
* (1) Hydrocortisone cream pack, 0.9 g ea. 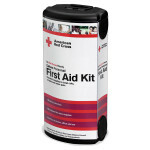 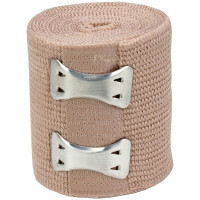 * (1) First aid tape roll, 1/2" x 10 yd. 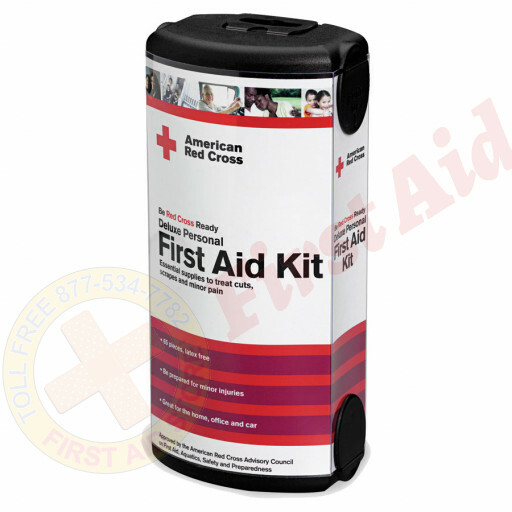 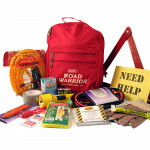 The American Red Cross Deluxe Personal First Aid Kit. 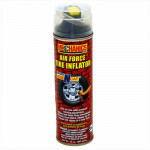 The Mayday Industries Fix-A-Flat Cone-Top - 12 oz.